I haven’t done an app review in a while and it’s time. Now one of my all-time-favorite apps has been recently updated, and I think it’s time to share the love. Articulate it! is easily the first app that I think of when I consider articulation drill (and that’s saying something since I authored the phono learning center app for phono therapy!). 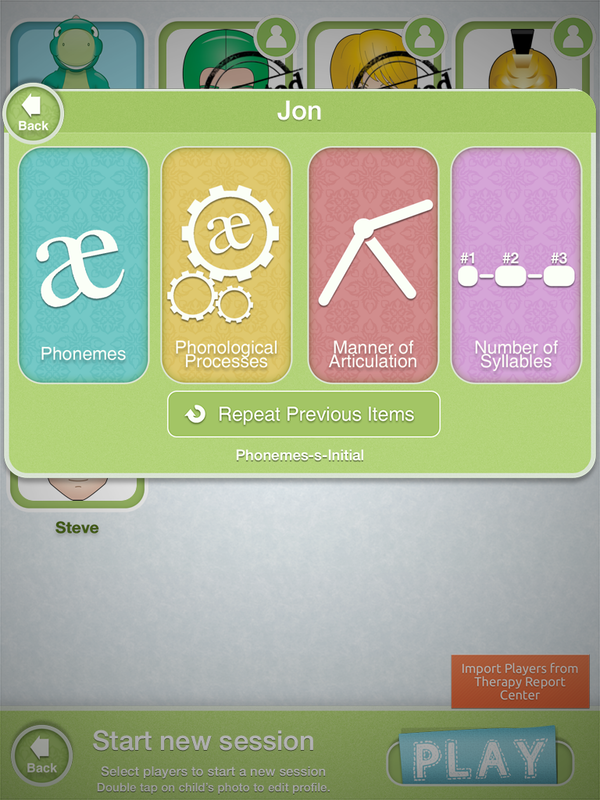 About the app: The app was created by Barbara Fernandes who is a tri-lingual SLP and CEO of Smarty Ears apps. Ease of Use: Articulate it! is very easy to use. Simply add a user by entering name and birthdate. It’s perfect for group work as up to 6 players can be selected for any session and each player has their own target sounds. 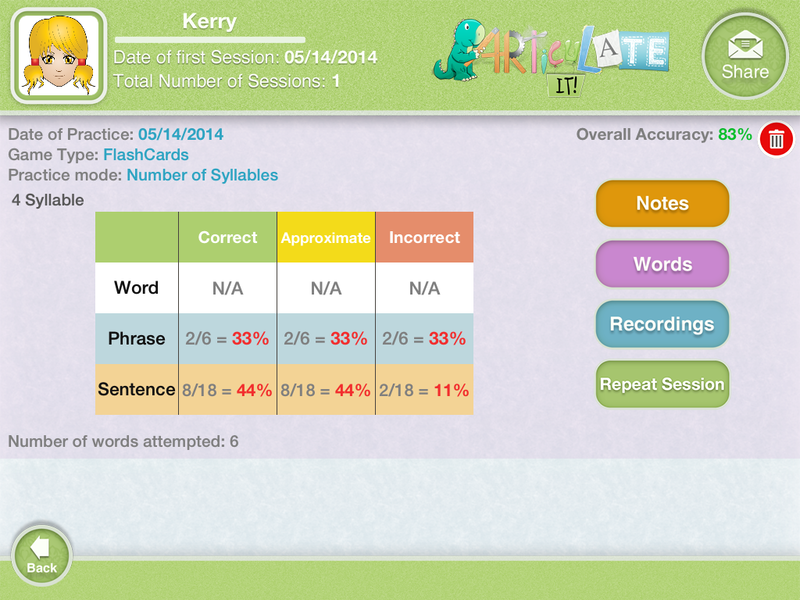 Targets can be selected by phoneme, manner of articulation, phonological process, or number of syllables. and then further selected by placement within the word (initial, medial, final). 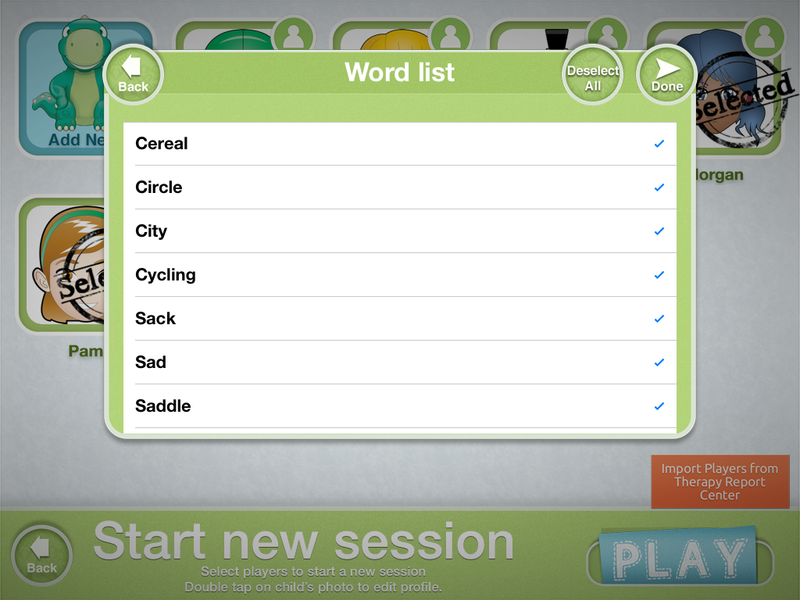 After the selection, a word list will populate where the SLP can deselect words if needed. The avatars for the individual students will show on the side of the screen, with various controls on the other side. At any point, the SLP can change settings, move from word to phrase to sentence, and select correct – almost correct – incorrect. Data is compiled for each individual and a report card is generated after each session. The report card provides the percent correct breakdown, a list of the words missed, and any notes that were created for that session. 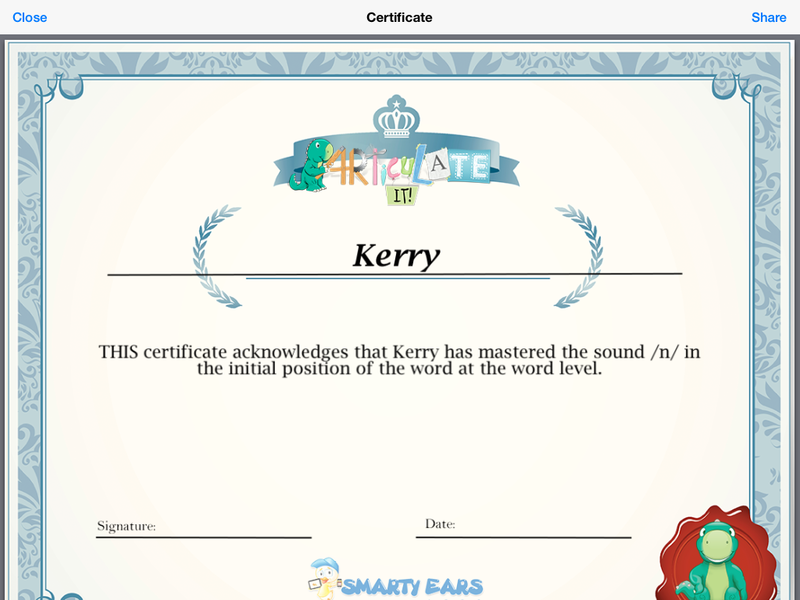 Smarty Ears has ingeniously designed a Certificate of Achievement that can be personalized for each child indicating their name, date, and sound they have mastered. 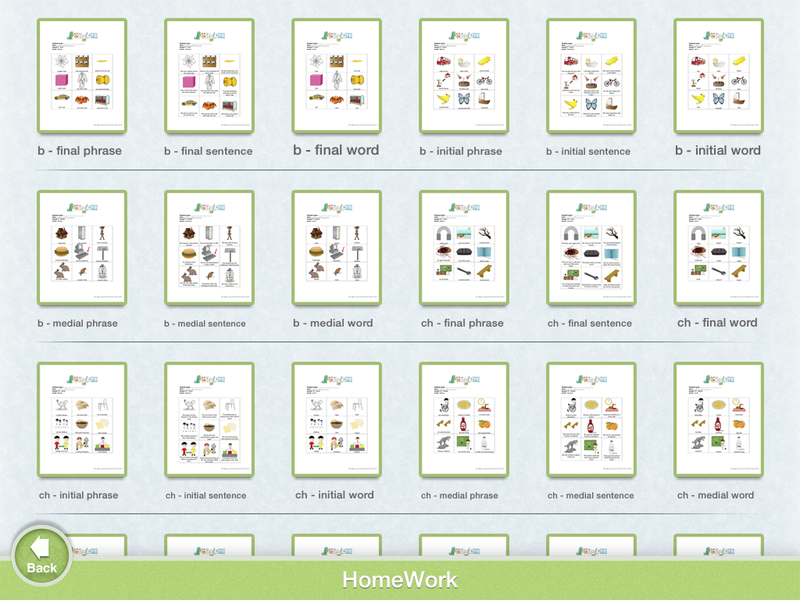 Homework sheets for each sound are available for printout or email as well…It simply does NOT get any easier. 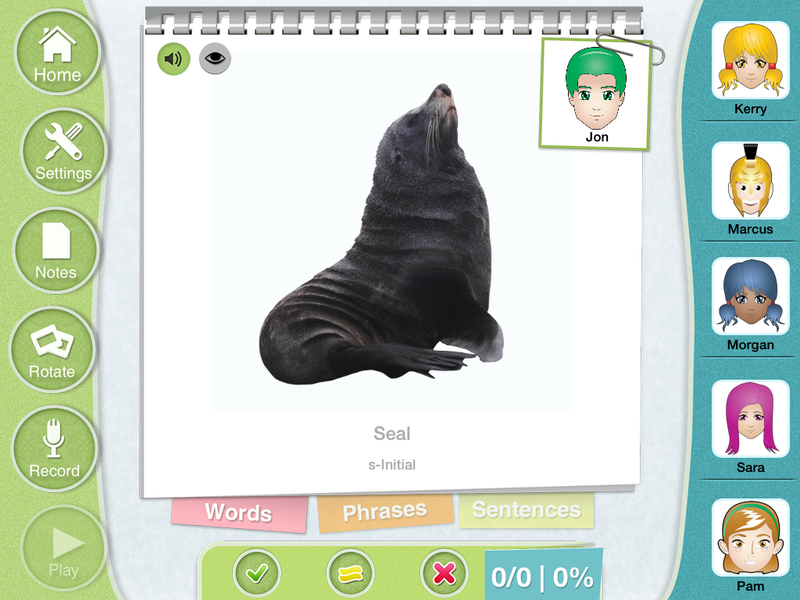 In addition to all the words that are built into the app, Articulate it! 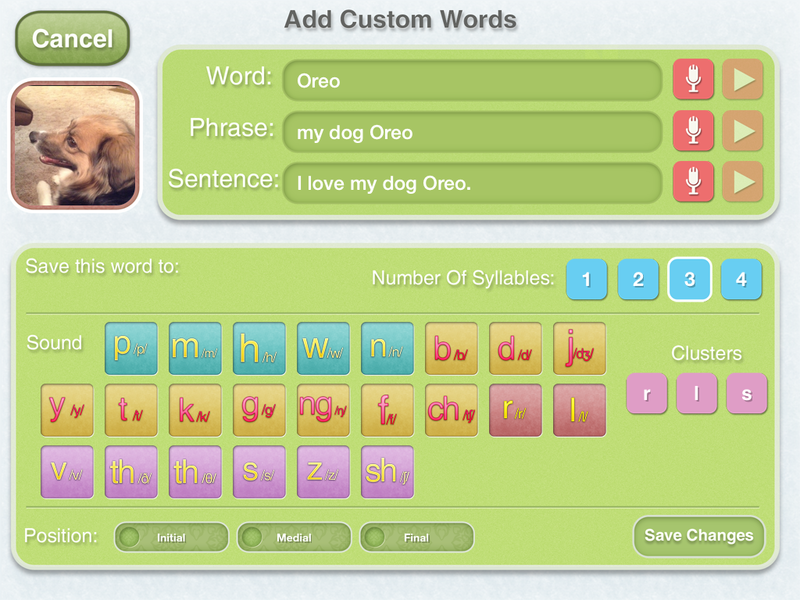 allows the individual to ADD custom words. The SLP/Adult can take a picture, determine the word-phrase-sentence to be used with that picture, record the audio, and determine where the picture will be used (which phoneme will it be placed under). All of this is fabulous and truly why I love the app. I have data for each student at my fingertips. I can work on any phoneme in any position and have homework to support newly learned skills. I’ve heard some people say the app isn’t “fun” but I have never had a student complain. Sometimes I will “change” it up a bit and play a game like Jenga or Trouble while I use the app similar to how I would flashcards…that way the app still takes data, I still have high-quality images, and the kids are still engaged with a “new” activity. There are a few things that I have had to adjust to – some of the phrases are a bit long…some of the words are not words that I’d pick because the words do not take into consideration the co-articulation of sounds (for artic kids, it’s fine…not so for phono). For my phono kids I prefer to work on specific sounds/words differently (which is why I created phono learning center) and for /r/ I use R Intensive so that co-articulation is considered. But…This isn’t all. In addition to everything I mentioned here (and much more that I didn’t simply due to space issues)…there’s more! Articulate it! now has themes to offer. 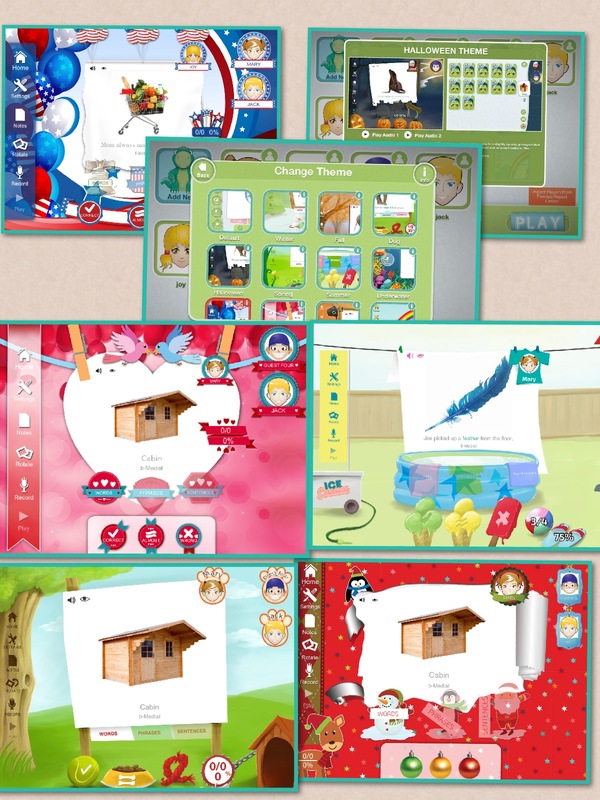 Each theme has its own sound effects, background images, and avatar frames. 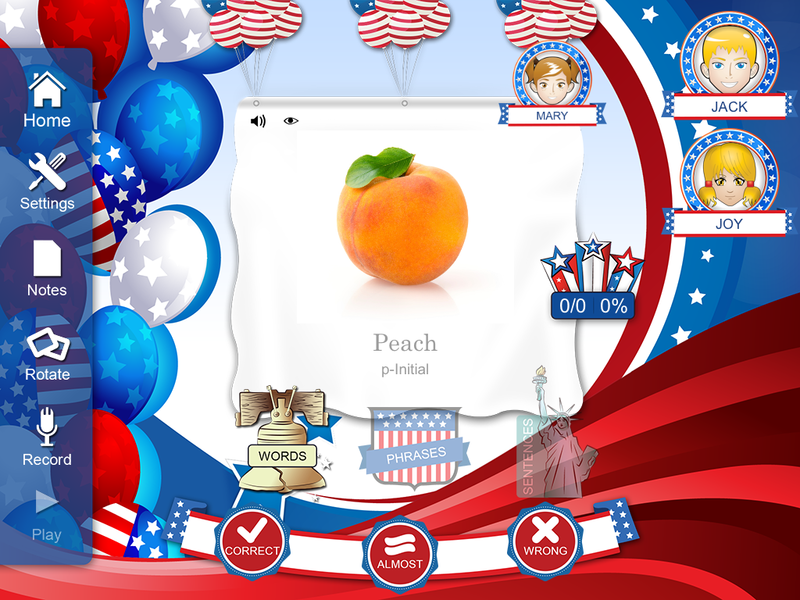 The themes allow the SLP to incorporate a bit of a language component when discussing the various items that go along with the idea or holiday. Christmas, Summer, Valentines…and much much more! There are many themes, at least 12 (and I think more on the way). So…tell me. Do you use Articulate it!? Will you use the themes? I’d love to hear how you use it in therapy and what your favorite feature or theme is. If you don’t use Articulate it! yet but would like to, you can buy it here. *Disclaimer: Although I am on the Smarty Ears advisory board and I helped create the homework for this app, I purchased Articulate it! with my own funds when it first came out (along with several other apps by other developers that I no longer use). Each update has improved the function of the app tremendously and it just keeps getting better. This review is entirely my own. This looks like a great app. My son and I may have to give it a shot. Right now, we are using Conversation Builder (also reviewed on this blog) and it’s been fabulous. Articulation is still a main point of focus for us though, so Articulate It may come in very handy also. Thank you for such a great review! I LOVE the themes! I mainly use Articulate It! for a listening station, and every now & then I’ll use it during therapy just to change things up. This app gets a little better with each update. This is one of my favorite apps! 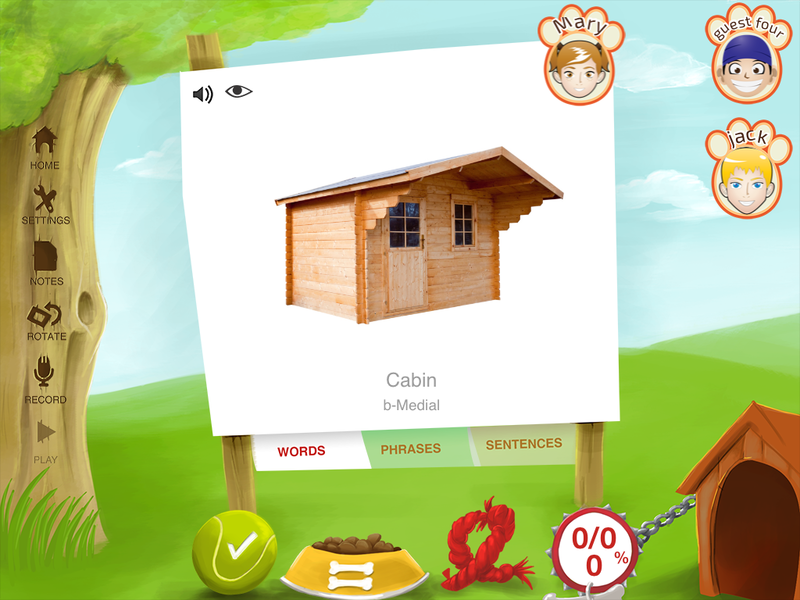 An absolutely wonderful app for learning! Good read! Thanks for sharing, too!